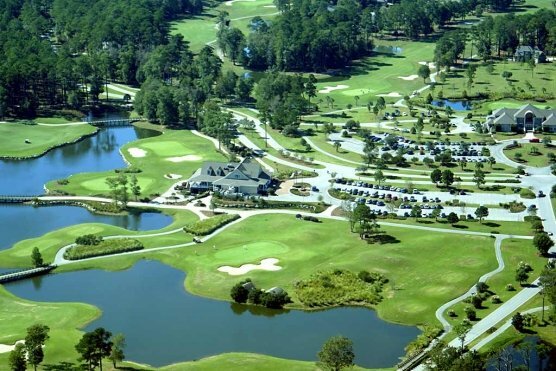 MYRTLE BEACH, SC – Having played Arrowhead Country Club more than thirty times, you might guess it’s one of my favorite venues. The golf course itself suits my eye and is always in great shape, the staff is hospitable and the ownership and management are very civic minded. In my book that’s a winning combination. A Raymond Floyd design, Arrowhead CC is a 27-hole layout, featuring the Cypress, Lakes and Waterway nine. A characteristic of the course you’ll appreciate is the immaculate condition, beginning with the greens. Renovation has been completed and the new MiniVerde Bermudagrass is a delight to putt. The same greens you see at TPC Sawgrass, they run true and are in tournament shape regardless of the time of year. Through the fairways and back to the tee boxes the condition of the course has a country club feel. Although each nine is different and no two holes are the same, each course shares one distinct characteristic. It’s a shot makers delight. Arrowhead CC is well bunkered and water comes into play on more than 20 of the 27 holes. Thankfully, the course is void of difficult forced carries. Doglegs are prevalent throughout the course and there’s an abundance of elevated tees. Visually very appealing, the course wanders through a developed neighborhood. Homes that border the course are often separated by trees or water and never come into play. The layout is not particularly long, allowing the average handicapper an opportunity to hit some greens in regulation. The Lakes/Waterway combination plays to 6612 yards from the Blue tees with a Rating/Slope of 71.6/140. The White tees are a reasonable 6379 yards and 69.4/140. The Green Tees measure 5560 yards at 66.7/114. The Red tees are very lady friendly at 4698 yards and 67.8/117. The Cypress/Waterway combination has a similar Rating/Slope and plays 6640 yards from the Blues, 6183 from the Whites, and 5559 from the Greens and 4624 from the Red tees. On the Waterway course No. 7 carries the No. 1 Handicap. It’s a great golf hole and has probably caused some angst even among the best golfers. A drive to the right center of the fairway on this slight dogleg left is a must. Although OB looms to the right, left is disastrous as Palmetto and hardwood trees protect the turn. The second shot to a green that looks well protected by mounds and trees awaits you. The pond far right should not come into play, but it’s unseen from the fairway. The tiered green makes a two putt challenging, if you’re on the wrong level. A par on this hole is one to remember. A great Par 3 is No. 3 on the Cypress Course. It sits in the center of three gorgeous holes on this nine. Besides the setting and natural beauty of the hole it is a real challenge. How often do you see a Par 3 with a 3 Handicap? Take plenty of club to this tee box. Once above the tree line, wind is a factor and there’s little bail out once over the water. A large sand bunker protects the upper half of the green. A tiered green makes for a putting challenge. No. 3 on the Lakes course is a Par 5 and sports a 4 Handicap. What a golf hole this one is! At 536 yards from the White tees an almost perfect tee ball is necessary to carry the two fairway sand hazards on the right. The long hitter that takes the corner of the hazard and clears may still be in trouble as the fairway slopes to the left towards the water. There is a landing area well to the left of the traps and short of the water. Know your driving distance and play accordingly. A good lay-up should leave you a downhill approach to a green protected by water in the front and traps in the rear. The previous three holes are certainly a challenge and have given me fits, but all three nines have opportunities to score. Both birdie and par opportunities are out there waiting to be taken. From bag drop, inside staff and rangers, to cart and snack bar attendants this is a truly hospitable course. They really appreciate the fact that you’ve chosen Arrowhead and it shows. Be sure to get there early enough to take advantage of free-range balls for players and a large putting green. The management and ownership of Arrowhead Country Club are always ready to step-up for a community cause. A favorite site for fundraiser tournaments, they have also been a major supporter of junior golf. 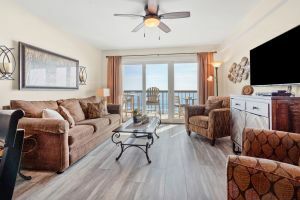 They’ve hosted regional high school tournaments and this year hosted the 2nd Annual Seahawk Invitational that attracted 10 Myrtle Beach area high school teams. You really must play Arrowhead Country Club on your next visit. There’s a good chance that group in front of you might just include me.